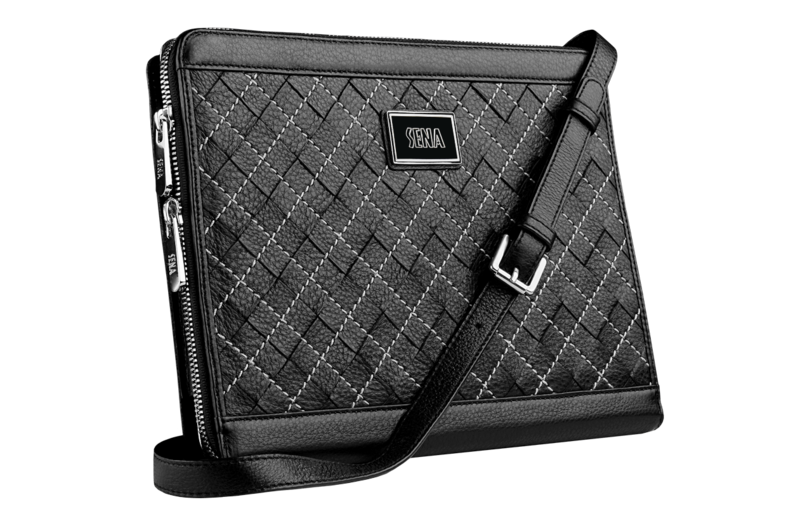 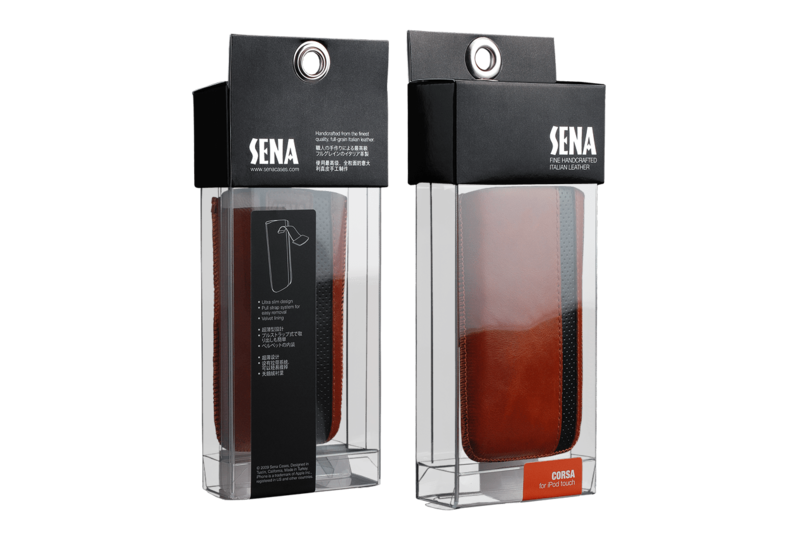 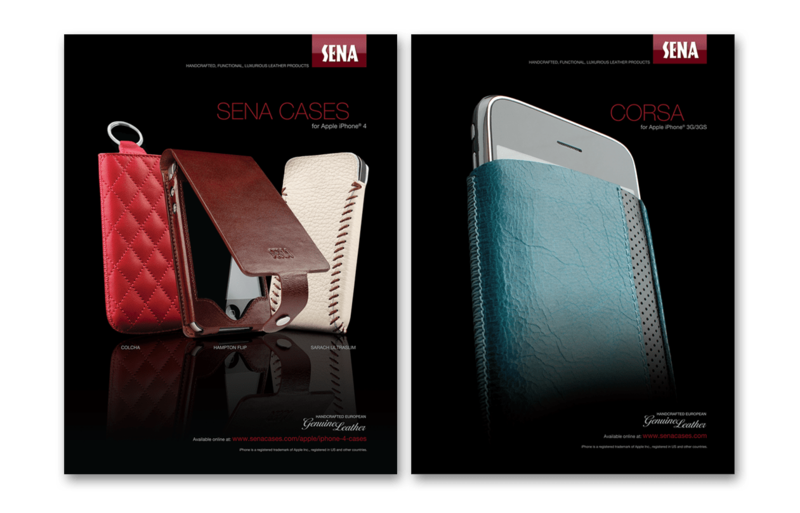 Sena Cases, a luxury mobile device accessory designer, offers luxurious leather cases for today’s most popular mobile devices including phones, smartphones, tablets, laptops, readers, MP3 players and more. 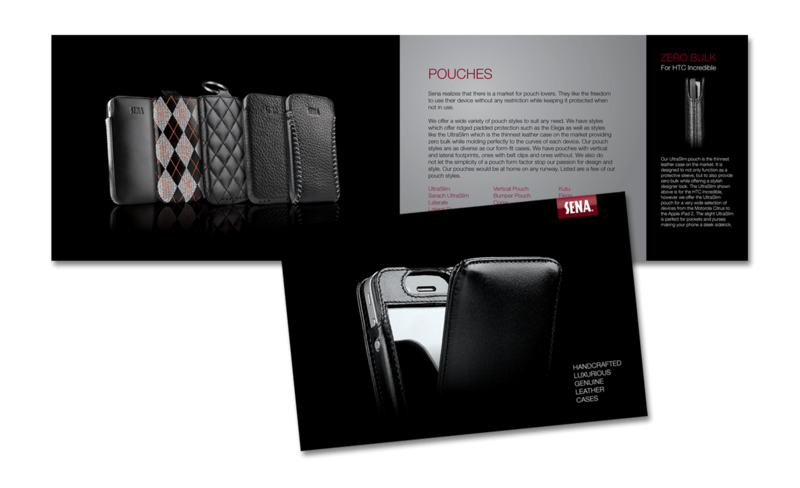 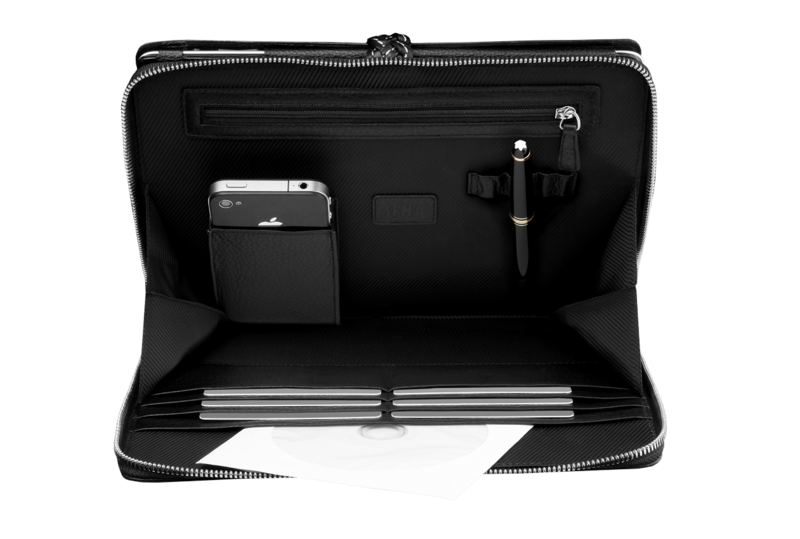 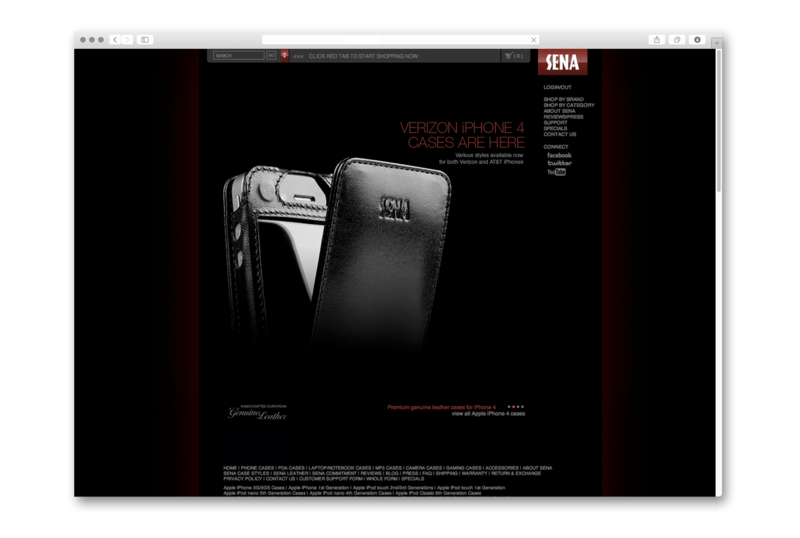 These unique cases are not only upscale in quality and appearance, but provide exceptional functionality as well. 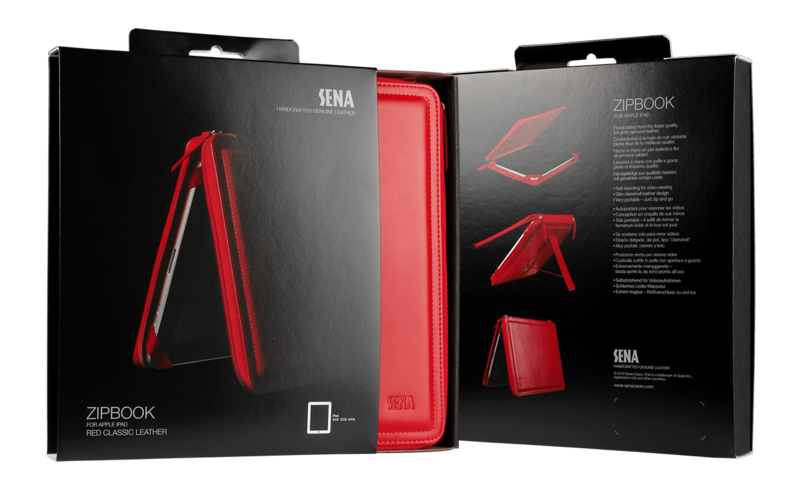 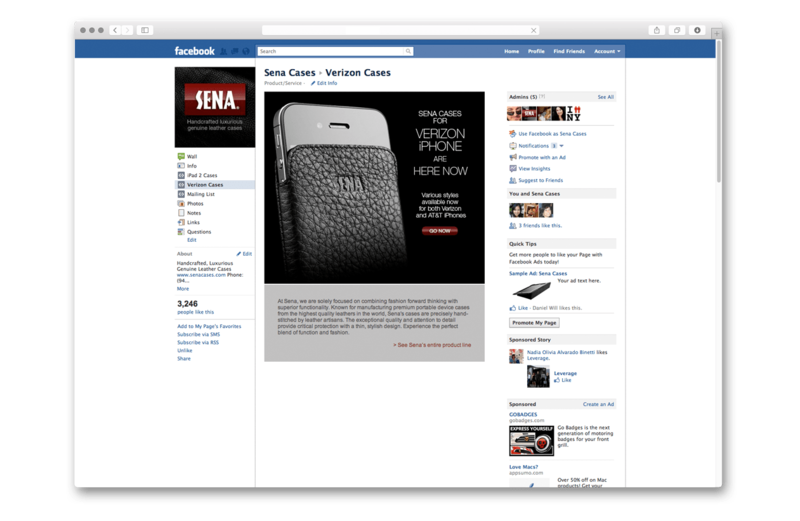 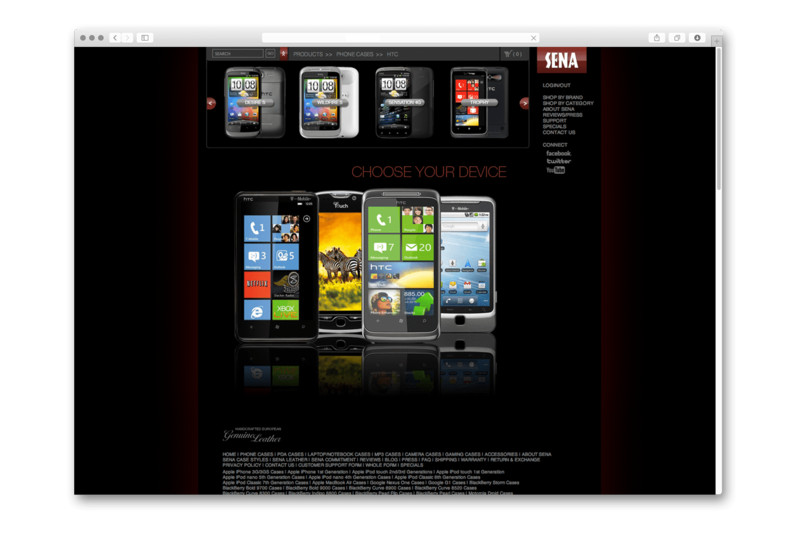 After nine years of building a niche market among tech followers, Sena Cases was ready to take the business to the next level and expand to new markets. 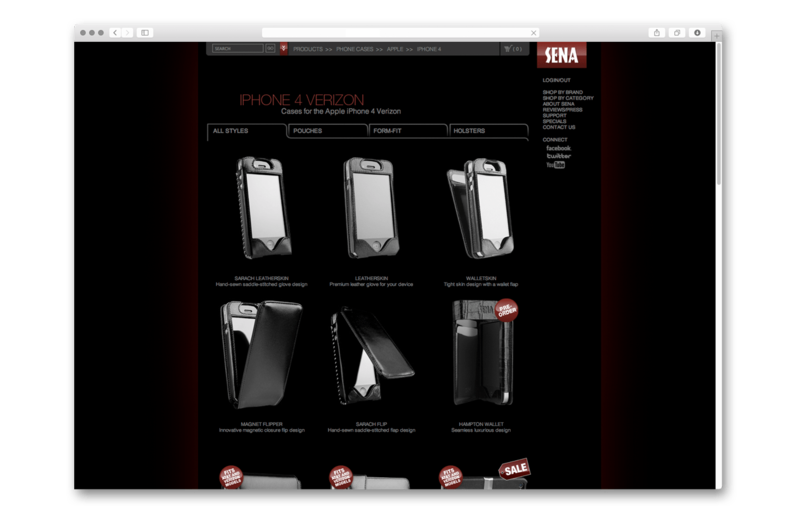 They hired me to rebrand the company and products, including creating a more sophisticated web store and developing elegant retail packaging to get into Apple stores worldwide. 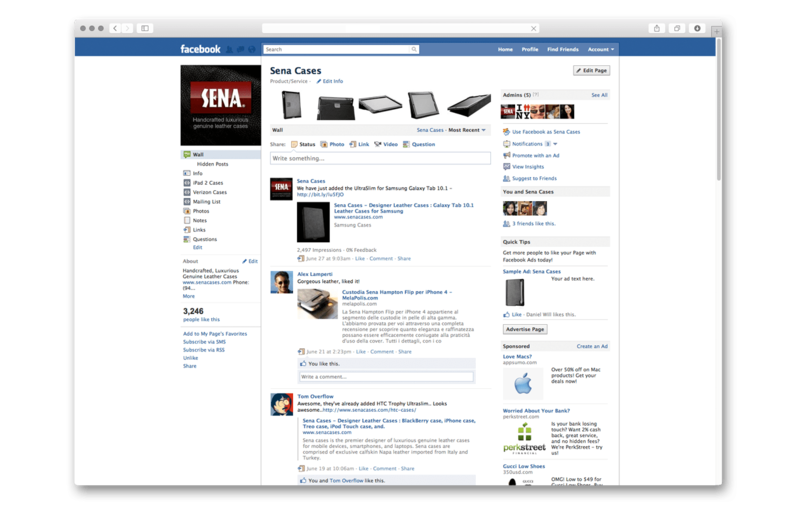 In addition, they sought to develop and launch an effective social marketing campaign. 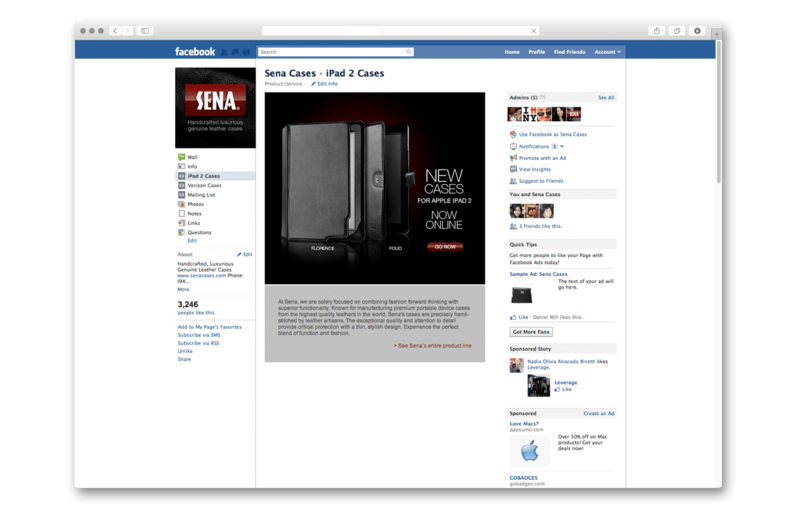 I directed the marketing strategy and creative direction of all media and collateral, as well as web marketing for all brands. 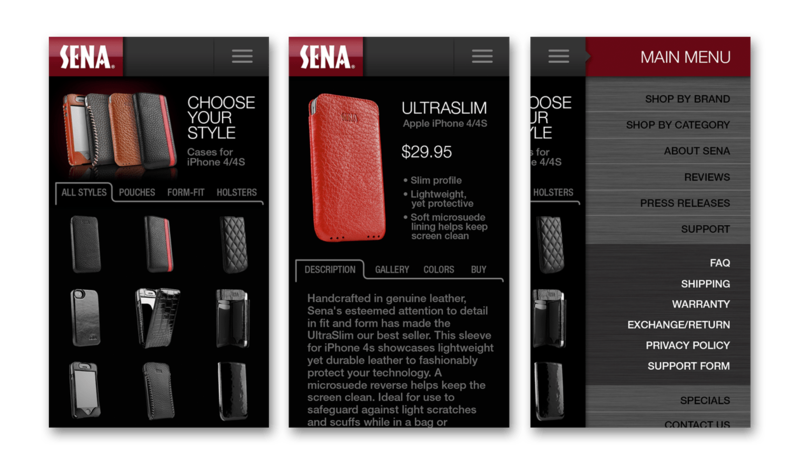 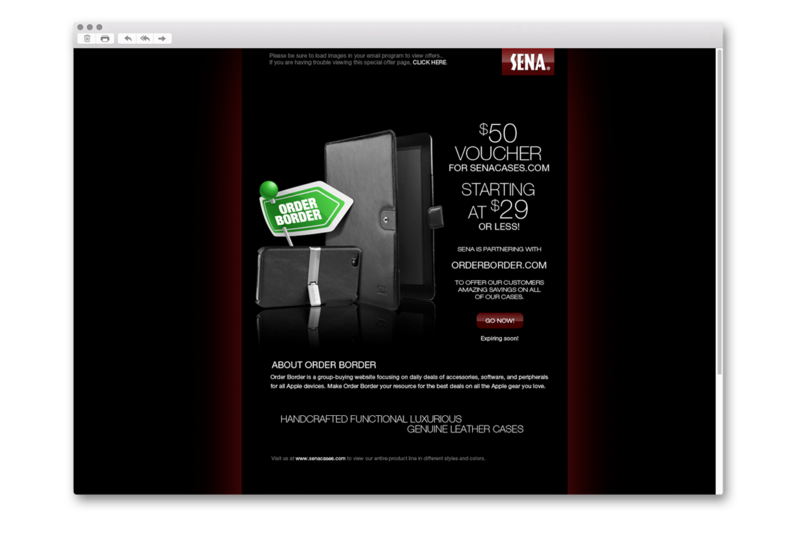 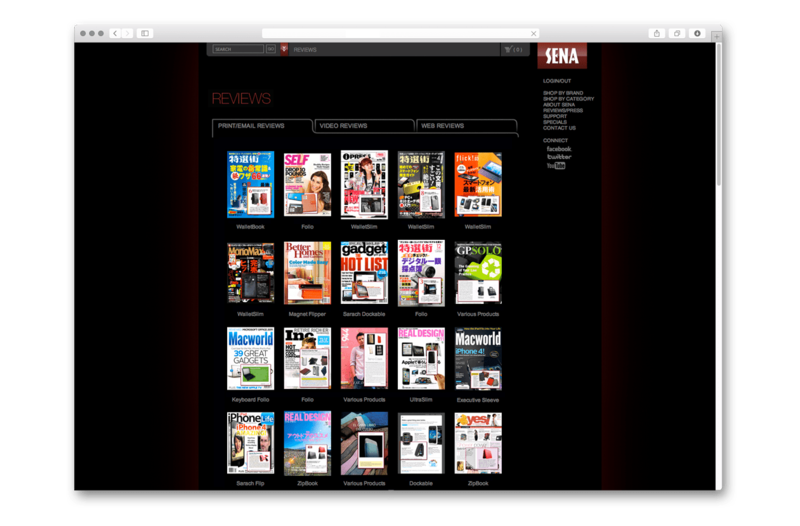 I created a marketing strategy focused on targeting a demographic which was new to Sena Cases — the fashion industry. 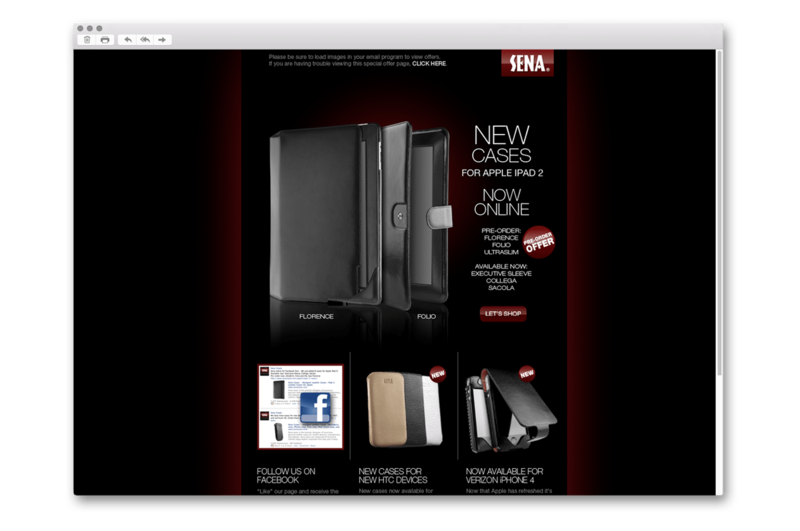 I rebranded Sena’s e-commerce website, event appearance, packaging, online advertising, social media, PR materials and multiple other touch points. 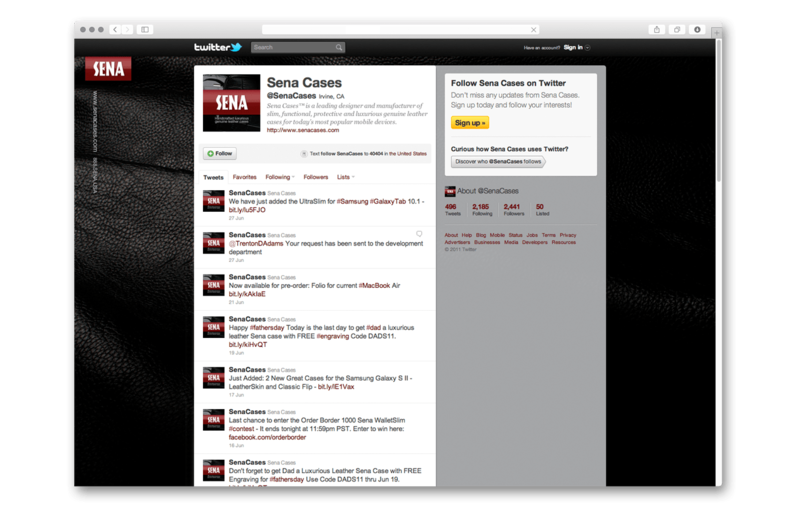 I quickly launched a social media campaign which attracted more than 2,000+ followers in less than one month, with less than 2% drop off. 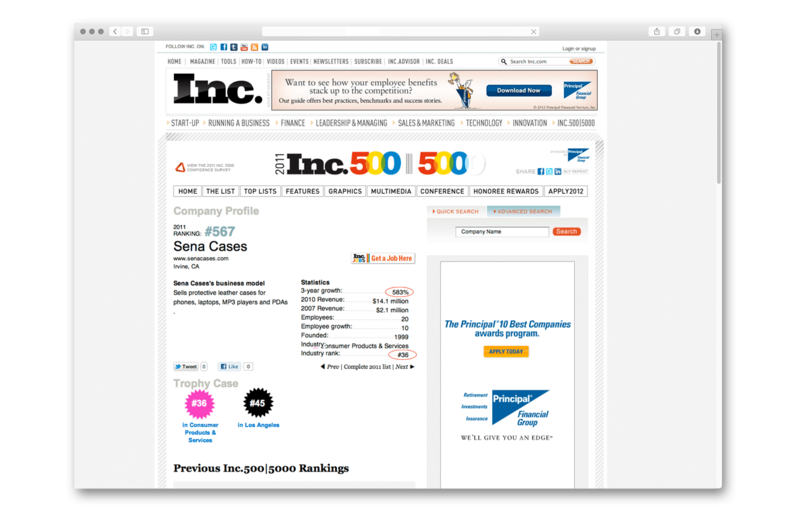 The new web presence, with an improved UI and UX, boosted the corporate branding; this resulted in a 583% growth in just three years, landing the company among the Inc 500 fastest-growing companies with an industry rank of #36. 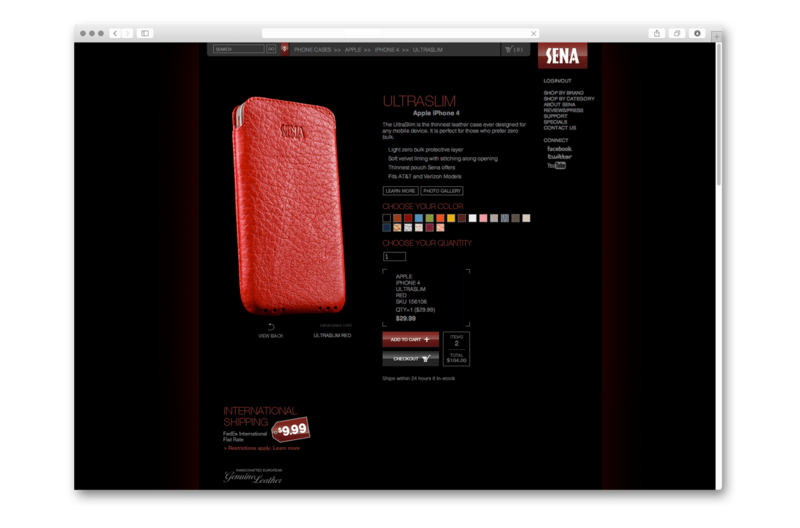 I also helped cement the relationship with Apple Retail Stores and brand the product line for the newly attained, licensed account Michael Kors (see Michael Kors case study). 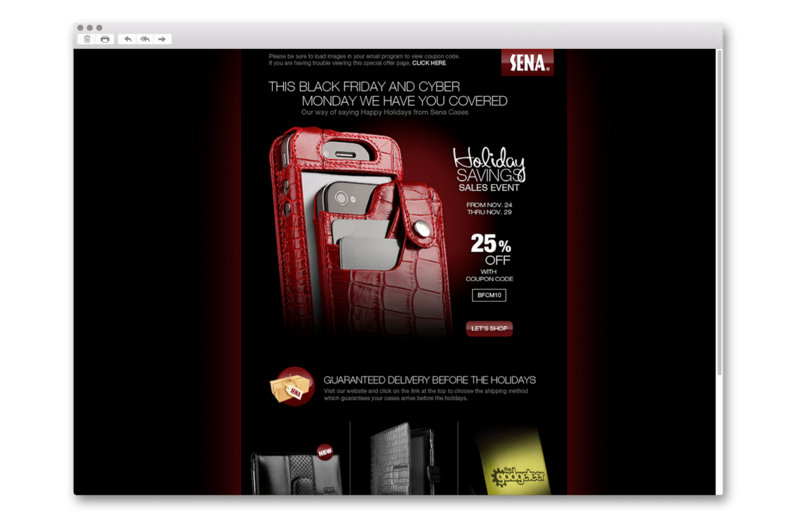 Ultimately, I elevated the level of consumer and retailer messaging and identity to match the quality and style of the products, which significantly increased its appeal to the demographic in-store and online.